Casa Romeo y Julieta is a villa situated in Castro Marim, alongside Castro Marim Golf Resort. You can relax by the outdoor pool in the garden and make use of the barbecue. Free private parking is available on site. 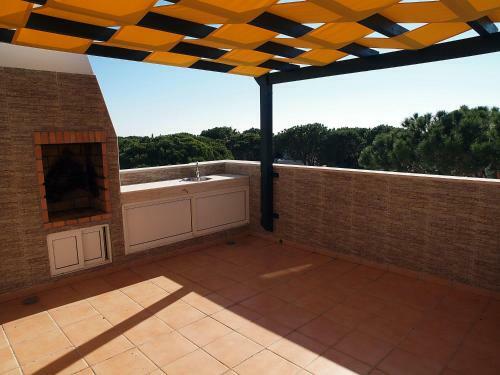 V2 Praia Verde is a holiday home with a garden, situated in Castro Marim. Guests benefit from balcony. The kitchen has a microwave. Towels and bed linen are featured in this self-catering accommodation. This refurbished guesthouse has a lush garden with an outdoor pool. Bike rentals are available. Free Wi-Fi is available in public areas. Rooms at Companhia das Culturas are decorated with a mix of natural and modern elements. Castro Marim Golfe and Country Club is a 230-hectare property in Castro Marim, with Atlantic Ocean and Guadiana river views. It offers self-contained villas with private or shared swimming pools. Vale do Boto is located in Castro Marim and has an orange grove, where guests can pick the famed Algarve oranges. It is a 10-minute drive from Monte Gordo, with its beach and casino. The accommodation will provide you with a patio and a terrace.